Project Summary: Colorado providers are required to submit immunization information to the Colorado Immunization Information System (CIIS). However, CDPHE is unable to track whether a provider is compliant with submitting to the system. As a result, it is unclear where immunization gaps exist across the state and it is difficult to estimate dose levels correctly. Since most providers submit claims for their insured patients for immunizations, the claims data in the CO APCD can help inform the accuracy of the information being submitted to the CIIS. 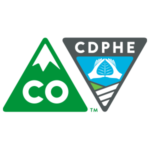 Using CO APCD data, CDPHE hoped to assess the completeness of the Colorado Immunization Information System (CIIS) and obtain an accurate count of the number of immunizing providers in the state. Benefit to Colorado: CO APCD data allowed CDPHE to obtain a better count of immunizing providers in the state, provider saturation by county, plus helped determine required dose level.